Craftics Standard Knob-White Acrylic. 1" Top diam. x 1/2" base x 3/4"h. These true-to-style acrylic knobs bring a contemporary look to your fixtures. Great style and economical price make these a great value for your dollar! Craftics Standard Knob-Black Acrylic. 1" Top diam. x 1/2" base x 3/4"h. These true-to-style acrylic knobs bring a contemporary look to your fixtures. Great style and economical price make these a great value for your dollar! Craftics Large Knob-White Acrylic. 1-1/4" Top diam. 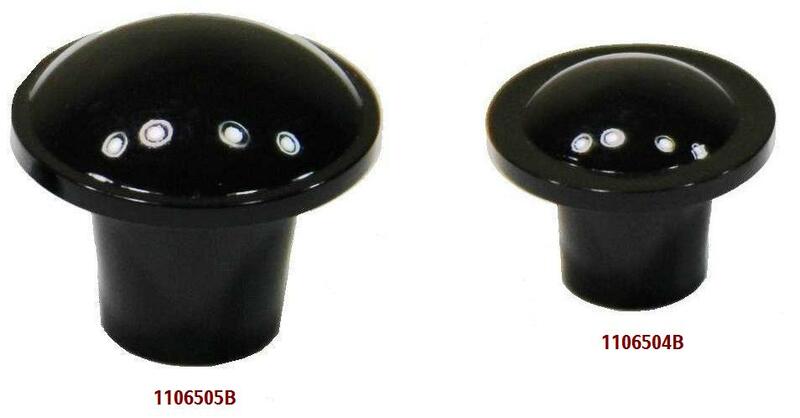 x 5/8" base x 1-1/8" h. These true-to-style acrylic knobs bring a contemporary look to your fixtures. Great style and economical price make these a great value for your dollar! Craftics Large Knob-Black Acrylic. 1-1/4" Top diam. 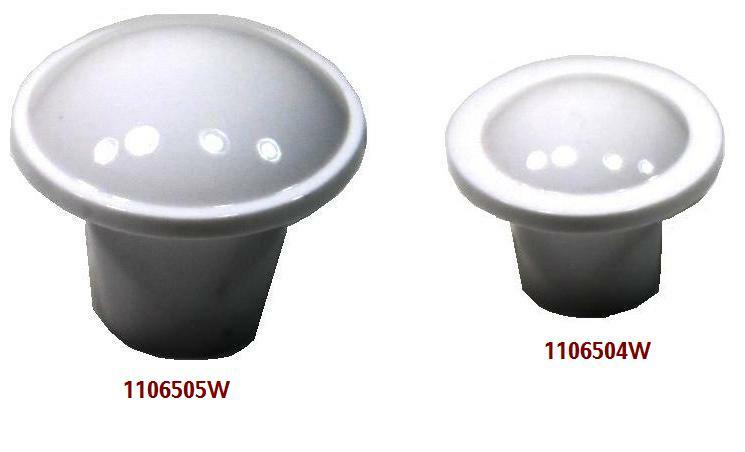 x 5/8" base x 1-1/8" h. These true-to-style acrylic knobs bring a contemporary look to your fixtures. Great style and economical price make these a great value for your dollar! Craftics Small Pull-Clear Acrylic. 3/8"deep x 1-3/4"L. These sleek-looking pulls are recessed on the bottom so fingers can slide underneath them for easy pulling. Great style and economical price make these a great value for your dollar! Craftics Small Pull-White Acrylic. 3/8"deep x 1-3/4"L. These sleek-looking pulls are recessed on the bottom so fingers can slide underneath them for easy pulling. Great style and economical price make these a great value for your dollar! 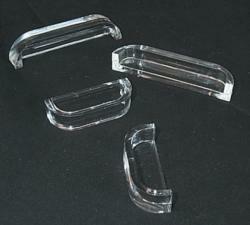 Craftics Medium Pull-Clear Acrylic. 7/16" deep x 2-3/4"L. These sleek-looking pulls are recessed on the bottom so fingers can slide underneath them for easy pulling. Great style and economical price make these a great value for your dollar! Craftics Medium Pull-White Acrylic. 7/16" deep x 2-3/4"L. These sleek-looking pulls are recessed on the bottom so fingers can slide underneath them for easy pulling. Great style and economical price make these a great value for your dollar!